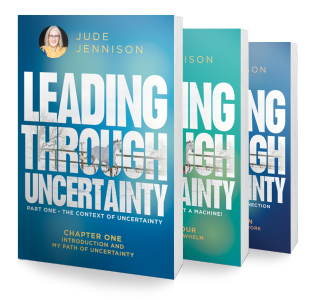 My book Leading Through Uncertainty was launched 6 months ago and I want to reflect on its success so far. The book launch itself was an evening of uncertainty. Events leading up to it meant that I was absolutely living and breathing everything I’d written about. Since the book is based on stories of working with my horses, it felt important to have them there so I organised an event at Warwickshire College and took all five of my horses. While that sounds an easy thing to do, I’ve never travelled with my horses before so this was rife with uncertainty. In the two weeks leading up to the book launch evening, I had a trail of challenges to overcome. My transport company cancelled a few days before, my stable manager went off sick with shingles which meant I had to pick up all her workload and the books only arrived 2 days before. I stayed calm and prevented myself from getting stressed by remembering what I’d written about letting go of control and leading instead. That’s always easier said than done but I was able to draw on the book to guide me. On the night of the book launch, one of the horses, Mr Blue, decided he didn’t want to get on the trailer. It took five of us to eventually persuade him which meant I finally arrived at the venue 20 minutes before we kicked off. The audience were already arriving and I had still not changed into my outfit for the launch! Despite all the uncertainty and challenges, we had an incredible evening. As I walked in with my whole team (human and horse) following, to the music of Black Beauty, there was an air of expectation and uncertainty. Would the horses follow? Would they be stressed in a different environment with an audience watching? Thankfully the horse handlers were all very experienced and kept the horses calm. 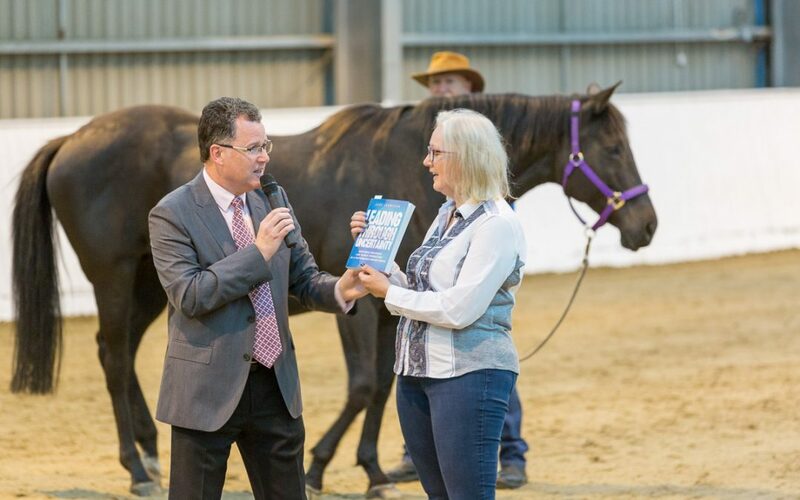 The evening included an interview with my MC Dave Sharpe as well as a demo of Leadership with horses. The horses behaved impeccably, the audience was moved by the demo and the whole evening was a resounding success. What I continue to learn about uncertainty is that the more we relax into it, the more effortless it is to lead powerfully. The book launch was the final embodied test of everything I’d written! Here is a showcase of some of the key moments.